Each of us has a unique and personal emotional history, a story unlike anyone else’s. Not only is our life experience our very own, but so is our temperament or personality, which influences in a significant way how we will respond to the presenting stressors in our lives. When we encounter a traumatizing event, how we as individuals process that experience will draw from our own psychological backdrop. This means, for example, that if we have a childhood history of sexual abuse, we will respond differently to a sexual assault in adulthood, with deep roots of emotional memory attached to the experience. This compounded trauma may result in a sustained trauma disorder, referred to as post-traumatic stress disorder (PTSD). 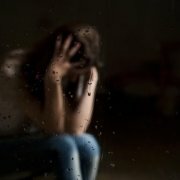 Someone without an emotional scar from childhood may also experience trauma disorder, however they may not suffer the severe emotional trauma symptoms, and they may be able to process through the traumatic experience at a faster pace. Because of the individualized response to witnessing or experiencing a traumatic event, it is important to know that seeking psychological support is always helpful. When a trauma has the effect of paralyzing the individual, seriously disrupting daily life and impairing functioning, a residential mental health program would be an appropriate level of care. The traumatic event is often something that was unexpected, sudden, unpredicted. The individual experiencing the event may feel powerless, which adds to the severe emotional trauma symptoms. But even life events that evoke a sense of fear of the unknown or a feeling of having no control over the outcome can also be considered traumatic. These might include a divorce, having to relocate suddenly, a parent’s health issues, or loss of a job and other major financial setbacks. The symptoms that follow a trauma may emerge immediately after the event or may be delayed, even by weeks or months. In some individuals the symptoms continue to worsen over time, culminating in a PTSD diagnosis. Treatment for trauma disorder relies on a blend of therapies and activities as well as medication when indicated. Individual psychotherapy is very beneficial, especially behavior therapies such as cognitive behavioral therapy, prolonged exposure therapy, and dialectical behavior therapy. Group therapy, including family therapy, is also helpful as it allows trauma victims to share about their experience and express their emotions in a safe, supportive setting. Exposure therapy helps reduce the impact of the traumatic memories by incrementally desensitizing the individual to the event by exposing them to triggers. Psychodynamic therapy helps for deep-seated childhood traumas, as this type of therapy explores early experiences to see how they are impacting present life. Holistic therapies, such as yoga, mindfulness meditation, massage therapy, hypnotherapy, and guided imagery can be useful in helping the individual overcome the fear-based stress that follows a trauma. These activities all promote relaxation while providing relief from stress. Eye movement desensitization and reprocessing, or EMDR, is useful for helping to desensitize the individual from the impact of the traumatic memories. In an 8-part program the therapist asks the individual to use their eyes to follow an object or finger back and forth while they discuss the trauma with the person. By focusing their attention on the stimulus it helps to reduce the impact of what they are discussing. Keeping a journal is also helpful in resolving the pain of a trauma. Just writing down the thoughts, fears, memories, and emotions regarding the traumatic event can help sort out the issues around the trauma while diffusing some of the potency of the memories. Elevation Behavioral Health is a residential mental health treatment center in Los Angeles. Elevation treats severe emotional trauma symptoms using an integrated approach that includes conventional evidence-based therapies, medication, EMDR, and holistic therapies. 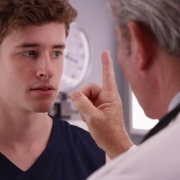 Each individual patient’s unique trauma history will dictate the customized therapy he or she will receive. For more details about our residential program, please contact Elevation Behavioral Health today at (888) 561-0868. A traumatic experience can remain deeply troubling for a period of time, impacting daily life and overall wellness. Having witnessed or personally experienced a traumatic event may leave psychological wounds and a heightened sense of emotional arousal that can cause impaired functioning, ill health, or relationship problems. While most people who experience trauma will eventually process the fallout, some may go on to develop pot-traumatic stress disorder, a prolonged and more severe form of trauma disorder. Trauma counseling is a key element in the process of healing after experiencing a shocking or distressing event. A trauma therapist is trained to use specialized therapies that help take the edge off the traumatic memory, allowing the individual to become less sensitive to the memories of it, or the people, places, or situations that may trigger the memories. Trauma counseling, and adjunctive therapies that compliment the counseling, allow the individual to gradually move forward in their lives. So how is a trauma different from any other upsetting event? A traumatic event tends to cause an intense psychological response when the individual feels they are in a dangerous or life-threatening situation. Traumatic events might include a natural disaster, military combat, a serious car accident, a violent physical or sexual assault, or the sudden unexpected death of a close loved one. Trauma often makes the individual feel a loss of control over their safety. What Is Trauma Counseling and How Does It Work? When an individual is struggling to overcome the effects of the trauma to a point where it is negatively impacting daily functioning and quality of life, it is appropriate to seek treatment. Goals of overcoming trauma include reclaiming one’s personal power, to shift focus from the past to the present, and to reduce the impact that the trauma has on one moving forward. Trauma-Focused Cognitive Behavioral Therapy. TFCBT is designed for helping individuals overcome trauma by reshaping the thoughts associated with the trauma that led to the negative emotions and behaviors. By helping the trauma victim express their feelings about the experience, the therapist will show them how those thoughts have led to withdrawal, guilt, loneliness, anxiety, etc. By encouraging the individual to examine the negative thoughts and reframe them in a more productive manner, the trauma loses potency. Psychodynamic Therapy. This is a longer-term therapy that delves into childhood experiences and how they may relate to issues in their adult life. The insights gained during psychodynamic therapy can help the individual develop a new perspective on those childhood experiences, as well as dysfunctional adult interpersonal relationships, how to rise above them and not allow them to negatively impact their present daily life anymore. Exposure Therapy. This is a short-term behavioral therapy that helps individuals become less sensitive to the memories or triggers of the trauma. By encouraging discussion of the event and gradually exposing them to the triggers within a safe environment, the impact is gradually reduced over time. This helps with the avoidance behaviors they may have acquired following the trauma. Eye Movement Desensitization and Reprocessing (EMDR). EMDR is a type of therapy that helps individuals by desensitizing them to the disturbing memories of the trauma. EMDR is an 8-phase program that focuses on the past, present, and future. The therapist will have the client follow an object or finger back and forth with their eyes while discussing the disturbing memory, the related emotions and beliefs, which has the effect of reducing the impact of the trauma over the course of the sessions. Neurofeedback. Neurofeedback is a type of biofeedback where the individual’s brain wave patterns and activity can be modified through a computer software program, training the individual to be calmer when thoughts of the trauma arise. Holistic Activities. Holistic practices can help promote relaxation while reducing stress, which can help in the response to thoughts of the trauma. Managing stress through deep breathing exercises, mindfulness meditation, guided imagery, yoga, massage therapy, and acupuncture can benefit the individual as they heal from the trauma. When efforts to relieve the symptoms of trauma are not successful using outpatient services, it may be necessary to consider a higher level of care. Individuals whose trauma disorder is seriously impacting their daily life and their relationships may benefit from a more focused approach at a residential treatment center. This safe, supportive setting allows the individual to fully focus on getting better without the daily distractions and triggers that have so far impeded that effort. Customized treatment plans will provide the most tailored, intensive treatment approach to healing from the traumatic event and getting one’s life back. Elevation Behavioral Health is a residential mental health program in Los Angeles, California. Trauma victims who have not yet been able to move through the residual emotional pain find that the safe, supportive setting of a residential program helps them heal. Leaving the reminders or triggers of the trauma by residing at Elevation Behavioral Health for a period, patients find much needed solace. Individualized treatment plans incorporate a combination of relevant interventions to allow patients to move past the painful memories and regain control over their lives within a compassionate environment. For more information about trauma counseling and treatment options, please reach out to Elevation Behavioral Health today at (888) 561-0868.